In this episode, we continue exploring one of the themes of this season of Leading Lines: non-traditional assignments. 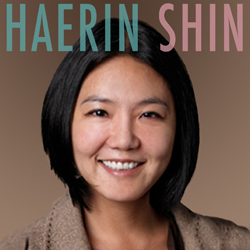 We talk with Haerin (Helen) Shin, assistant professor of English at Vanderbilt University, who gives her students a choice for final projects: a traditional research paper or a creative, usually digital, project. Helen describes a few examples of digital projects, talks about how she structures and scaffolds these assignments, and explains why these nontraditional assignments help her students achieve her learning objectives. 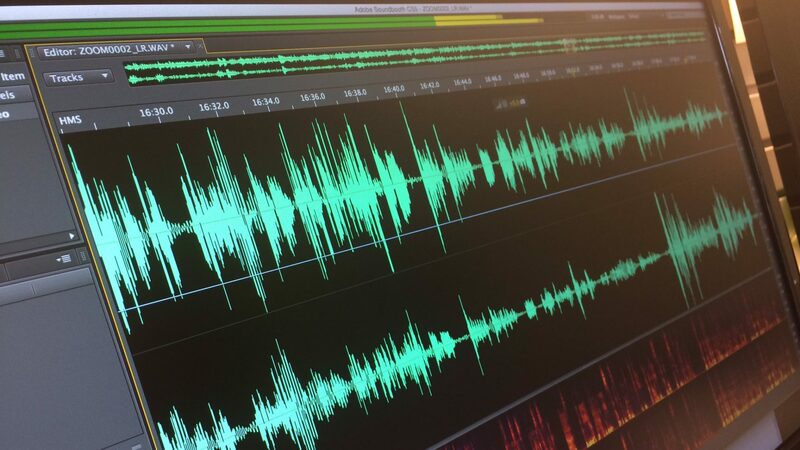 Derek Bruff: [00:02] Welcome to “Leading Lines,” a podcast from Vanderbilt University. I’m your host, Derek Bruff, Director of the Vanderbilt Center for Teaching. [00:11] In this podcast, we explore creative, intentional and effective uses of technology to enhance student learning — uses that point the way to the future of educational technology in college and university settings. [00:39]. She actually gives her students a choice for final projects, either a traditional research paper or one of these open ended creative digital projects. [00:47] I was excited to talk to Helen about these projects and how she structures them, how she scaffolds them. In the interview, she shares a few examples of projects and talks about why this type of assignment is a really good fit for the kinds of courses she’s teaching and the students that she’s teaching. Derek: [01:07] Helen, it’s great to talk with you. Thanks for coming in today and chatting about your teaching. Haerin Shin: [01:12] Thank you so much for having me. Derek: [01:13] Let’s start with a little bit of context. Can you tell us what you do here at Vanderbilt and what kinds of courses you teach? Haerin: [01:20] Sure. I’m an Assistant Professor of English and I also work with Asian studies and Cinema and Media Arts. I mainly teach science fiction, new media, technology in literature. [01:35] Also Asian‑American fiction, but not just literature as in text. I always try to bring in all these different media such as graphic narratives, animation, film definitely, but also current events. Social media, for sure…all that’s going on. Not just because I love that stuff. Haerin: [01:56] I find it a great way to engage students and show them how literature works in all these different walks and avenues of life. Derek: [02:04] Wow. Yeah. Well, and I know ‑‑ we’ve talked a little bit about this before ‑‑ that you give your students, in a lot of your classes, the option of submitting a creative project as a final assignment instead of a more traditional research paper. Why do you do that? Why do you give them that option in the kinds of courses that you teach? Haerin: [02:24] Sure. First of all, I came to realize that most of my students, even in upper level English literature major courses, not all of them are going to go off and become English grad students or do something that’s directly related to literature, although, of course, lit has everything to do with anything in life, which I believe. Haerin: [02:47] I imagine they would go into all of these different professions, whether it be medical or engineering, finance. The thing is they’re learning all these valuable skills and having this amazing experience in the presence of these, again, amazing students, colleagues, friends. [03:05] They’re going to take it out into the world and I really want them to be able to use it and implement it and utilize it in ways that not only benefit themselves, but really practice the things that we discuss in class. Change the world and raise awareness about certain issues in literary, as well as real life kinds of ways. [03:26] Also, they come from all this really diverse background. Race, ethnicity, family backgrounds, cultural and also beliefs and they bring a rich assortment of ideas and that really animates the class. I want to be able to utilize that and really allow the other members of the class to benefit from it because it’s right there to be used. [03:52] By giving the students the option of doing a creative project, I’m trying to harness that potential and also expand the classroom experience beyond the classroom, beyond the university experience. Even until after graduation, into all these different walks of life. [04:09] I found that really productive precisely because these students have diverse interests, as well as backgrounds. They are able to utilize those skills and bring in their personal interests and further enrich the research, the critical insights and also creativity they have already within them. [04:30] Usually, I offer them the option in the beginning of the course along with the usual research paper track, which is as exciting as the creative, I must say, and they plan it throughout the semester. Derek: [04:44] This is an educational technology podcast and I think a lot of your students make some type of digital project if they take this option. Can you describe a few examples of things that they’ve done in the past? Haerin: [04:55] Especially my science fiction or new media classes attract students from sciences, engineering, pre‑meds. Again, diverse backgrounds who have more to do with digital stuff, maybe, than the usual, not always, the English major. What happens is they reflect their interests whether it be again games or coding or graphic narratives, other forms and formats of media. [05:26] One example would be a student, who is a poli-sci major and an english major, who decided that after taking the science fiction course, she wanted to learn new skills, and practice the digital and practice the technologies that we were discussing in class. Derek: [06:22] Sure, just to click a link and go somewhere else. Haerin: [06:26] Yeah, instantaneously transported. Derek: [06:28] Creating one web page with HTML and adding those links and figuring out where you could send someone or creating something to send someone. Haerin: [06:36] Exactly. It’s kind of a semantic teleportation, if you will. It’s just natural these days, but it was a revolutionary concept ‑‑ the idea of layered meanings behind the screen behind the screen behind the screen of meanings on the surface. [06:50] We were talking about how digital technology is a disenchantment of sorts because we assume that we know stuff, but we really don’t know what’s going on behind the screen, all these layers of languages and meanings. [07:03] She reflected those ideas to the design of the site itself, also inspired by “Patchwork Girl,” which is inspired in turn by Mary Shelley’s “Frankenstein,” Frankenstein’s bride in particular, and all these different body parts. She comprises the stories from all these different people who contributed their body parts. Derek: [07:49] The velveteen rabbit is a stuffed animal, made of cloth and stuffing and eyeballs? Haerin: [07:54] Eyeballs, yes. [laughs] The stories of all the different characters, other stuffed animals, and the boy the rabbit interacts with, the backgrounds and the cognitive moments of disjuncture in the story. [08:10] That was not only beautiful but really impressive in terms of the technology that she learned and she taught herself, but also the critical insight she incorporated into building the site and the reflections that she wrote into each of the hypertext pages to accompany the new discoveries and new locale that this act of clicking would take the viewer user. [08:36] Another example would be…let’s see. There was a student. He’s in engineering. He designed, not a real one, but [laughs] conceptual artificial intelligence program named after himself. [08:53] This artificial intelligence program was designed to exemplify or demonstrate the idea of technological singularity, artificial intelligence growing exponentially to exceed humanity in intelligence or other aspects — kind of a threat, the Skynet scenario, maybe. Derek: [09:12] Well, that’s like a worst‑case scenario. Haerin: [09:15] Yeah, let’s hope we don’t go there. Derek: [09:17] This idea of singularity, I’ve read a lot about this. Was this something that you would discuss in the class and read some different perspectives on? Haerin: [09:26] Absolutely. Same with the Velveteen Rabbit because she was importing ideas we were talking and reading about in class. Yes, technological singularity really intrigued this student. He wanted to deal with it and maybe make up his own scenario and put it into context of college life. [09:46] So this AI talks and interacts with a student. The final presentation was in an interactive form. He made a short film. He rendered this whole digital film and created all of the visuals and put in the voice and did all the editing. He would come up in front of the screen. He would start talking to this AI on the screen, giving instructions, having conversations perfectly timed and synced. Derek: [10:18] There was essentially a digital film that he made, that was meant to be shown while he himself was standing in front of it, kind of acting out the other half of the script. Haerin: [10:31] Absolutely. It was kind of a dynamic, interactive on‑site performance. Derek: [10:37] The character in the film is an AI who has achieved singularity? Haerin: [10:51] Or is about to, and then things fall apart. Haerin: [10:57] That was really impressive, the visuals, the sophistication of the digital film itself. Derek: [11:02] That student, he already had some of those technical skills. Haerin: [10:58] He did, but then he also learned new skills and he looked into new platforms. This was the first film that he had to make. That was a new challenge and he pulled it off beautifully. Derek: [11:12] You mentioned the presentation. You also said earlier that you like the fact that students kind of benefit from each other’s perspectives and skills and experiences. What does that look like? Do you spend the last week of class having students share out what they’ve made? Haerin: [11:27] Oh yes, absolutely. For every class, I have this thing called an academic conference. It’s a formal conference where all the students present their final papers and final creative projects. I give them a designated amount of time so they could come out and do it in PowerPoint, Prezi, any format that they choose. [11:50] Of course, they have to explain why they chose this particular way to go and analyze how that choice is effective, for what reason, etc., and the reflective essay, but the presentation itself is supposed to be short. It has to be compact. It has to be effective, rhetorically appealing. They’re divided up in panels as is usually the case. Derek: [12:14] Right, at a conference. Haerin: [12:15] An academic conference, yeah. It’s open to the public, so we advertise it. They can invite their friends, anyone they want. It gives that kind of setting so they prepare hard, and they practice. Derek: [12:27] I’m going to want an invitation this fall. Haerin: [12:30] Absolutely. People have come, it’s really fun, and it is amazing seeing them put all they’ve done and all they’ve dreamt of and achieved on stage. Derek: [12:40] The folks who pick the research paper option, do they sometimes bring a little creativity to how they present that paper? Derek: [13:17] Interesting. I asked in part because I’m a mathematician and educator. I do not go to humanities conferences, but I hear tell that people will literally read a paper at a conference, and that sounds a little boring. Haerin: [13:26] I think things are changing. A lot of people are using audio visual aid or using different approaches, but yes, reading out loud is usually the norm. Derek: [13:37] [laughs] Right, but your students can go in different directions. Derek: [13:40] One of the things that I’ve heard come up with faculty who have students do presentations in class, is the challenge of having the other students who are not presenting stay engaged and involved and attentive. You had said one of the reasons you do presentations is so the other students in the room will benefit. [14:03] Are there things that you do to try to keep the rest of the students engaged and active during your conferences? Haerin: [14:09] Sure. What we do is we do collaborative note taking and feedback. That’s not a new thing for them, because all throughout the semester, they do it regularly using Google Doc. After reading a particular text, we have a series of exercises and different things we do. One of them is this collaborative note taking, or, as I call it, brainstorming. [14:33] They divide up into small groups. I give them certain questions, and they bring some of theirs, and of course, during the discussion, new ones emerge. What they do is they respond to my questions, expand on them, bring in their own input, and also include their own questions that they want other students to think about, and if possible and if they have time, respond. [14:53] They do it together. It’s a Google Doc. One big one, so each and every group and student names would be on them individually. They rate as they go. You can see what comes up real time on the screen, I put it up there. Of course, they have it on their computer screens too, so it’s constantly moving. [15:12] In the beginning, it’s hard to follow, because the screens keep moving and you have all these different IDs, wolf and camel, random names popping up. Derek: [15:21] [laughs] Aardvarks and whatnot. Haerin: [15:23] Exactly, aardvarks popping up, but they get used to it. They’re really fast in adapting, so by the end of that first hour, they already have it firmly in their hands. [15:35] By the end of the semester, it’s just so natural to them. What they do is they sit and they of course listen to the presentation, but as we all know, people can type, especially these students can type while listening and hearing. [15:47] They don’t have to type in complete full sentences. They can just jot down thoughts and ideas as they go. Next to their name, they write down their responses to the presentation — good things, what they found effective, but also if they have suggestions to room for improvement or enrichment. [16:07] They make suggestions, provide feedback for the format of the presentation, of the rhetoric, but also the content. If the student presenting is dealing with a particular topic and one of the audience members find something we discussed in class relevant and useful, then he or she could suggest that in the comments as well. [16:27] What’s good about this dynamic collective feedback is that the presentations, the conference takes place before they’re supposed to submit their final products. They can utilize the feedback they got and further animate and enrich their projects before they submit the final product. They get more engaged precisely because they know that they’re going to get the same deal for themselves as well. Derek: [16:54] Right, they get feedback from their peers before they submit their final and it sounds like it’s built on an entire semester worth of cultivating this, what I would term, a learning community, where the students are learning with and from each other as much as they’re learning from you or from the text. Haerin: [17:08] Very much so, yeah. Derek: [17:09] That’s great. I think one of the things that can be challenging for these more open ended creative digital projects is that sometimes there’s less scaffolding or structure for the students. Are there things that you do earlier in the semester to help them get ready for these final projects? Haerin: [17:25] At the very beginning when we go over the syllabus, I give them a timeline. I completely agree, because creativity, sometimes it feels wrong to just give it a grade. How are you going to build the criteria to do precisely that? [17:40] I found it challenging in the beginning, but of course this is a classroom experience and it’s a literature class, so of course there are formal elements to consider. Students are supposed to compose a reflection essay along with the final product and submit that in the end of the semester, which requires input on the reason why they decided to go with this particular form, content, idea and also, how and whether they found it effective. [18:11] If so, if not, why and what they might have done differently or what they might want to change or how they’re happy with what they’ve done and also why, so they have to analyze the process. Derek: [18:26] They turn that in along with the final project? Haerin: [18:26] Absolutely, but also critically engage with the discussions that we’ve done throughout the semester in class, so bring in the materials we read, both theory and primary text. It’s a requirement, so they have to do that and provide critical thoughts about them. [18:41] Usually, the ideas for the projects emerge from these readings and discussions. I think it’s important to build in the critical aspect into the creative as well so that becomes part of the things that I look for when I ‑‑ this word is weird ‑‑ but grade and evaluate in the end. [19:03] Also, one last thing I’d like to add is that, like you said, creativity can be spontaneous. Things change along the way but I think it’s also important to have a blueprint and maybe go with it and build on it, even if they decide to change at some point. [19:20] Students have to discuss their ideas early on with me. Come in and talk to me individually face‑to‑face, several times. For the mid‑term, the students who are doing the creative track are supposed to compose and submit a project proposal in detail. [19:37] Laying out the big picture for what they will do and the reflective essay later, but they have to do a preliminary planning that would…I don’t know, like a forecast, what’s going to happen later on. Derek: [19:49] Yeah, which gives you a chance to give them some feedback to help them. If there’s things that are missing or if their scope is too big or too small, it allows you to jump in and guide a little bit. Haerin: [20:00] Yeah and they’re welcome to brainstorm with me during the conferences. If they have this really cool idea, but they don’t know how that exactly relates to this particular material or test. They have an inkling of an idea but they are not sure. They can come in and parse it out with me. I might make some suggestions of my own if they don’t know which platform to go with, then I can give them options. Of course, it’s all up to them. [20:25] This discussion, I think it is really fruitful because I learn from them and they really appreciate the fact that their ideas are being welcomed and they turn into something that they could take away and keep in their hands and attest to their achievements. Also, the collaborative knowledge that they’ve produced together throughout the semester. Derek: [20:45] I’m curious, do you know of students who’ve taken their project from your course and done something with it after the course, or shared it with somebody? Haerin: [20:52] Sure. Yeah. One student produced a short film, a collection of interviews with members on campus. This was from the Asian‑American literature class, the story of otherness, so experiences of students belonging to different identity groups or belief groups who felt othered, sharing their stories, but also maybe analyzing the reasons why, making suggestions what might change, or just some heartfelt stories that they could just pour out and maybe put it out in the world. [21:30] That got selected to be screened at the Commons. I forget the exact name of the event, but one of those big events for all the incoming freshmen. Derek: [21:39] At our first-year Commons here at Vanderbilt. Haerin: [21:42] Yeah. I’m very glad that happened because these are stories that have to be shared and deserve to be shared, to be voiced out. It gives agencies to the students who’ve mustered up the courage to do precisely that. [21:55] Another student, actually the one who produced that digital AI rendering, he went off and designed a virtual reality educational program for another class based on this experience from our class. It’s pretty amazing. You just go on YouTube and use one of those three virtual reality apps on your phone. You can do it with Google Cardboard, no need for fancy trappings. [22:21] You can experience different ways in which geological elements interact with people and become part of history, etc. Derek: [22:29] Did you say geological? Haerin: [22:30] Yeah. It’s for a geology class. Derek: [22:31] Wow, OK. That’s really great. Haerin: [22:36] It was beautiful and he shared it with me. I’m inviting him back into class as a guest speaker for my new media course, so he could share that for the VR segment of the class. Derek: [22:47] Man! That’s great. Haerin: [22:49] Yeah. Another student who produced an iPhone app, a game in which the different layers of reality and our engagement with it becomes part of the gaming experience. Not outside the class, but he shared his skills and the things that he could relate to, class materials in the class. [23:12] I gave him an opportunity to explain the basics of coding and how coding is in fact very closely related to, but not identical to human language. That was actually a really important part or concept that we discussed in connection to “Snow Crush,” one of the readings, virtual reality human language deep structure. Derek: [23:34] Is that Neal Stephenson? Haerin: [23:36] Absolutely, yeah. I’m a huge fan. Derek: [23:59] Oh sure, and so for the discussion of that novel, you relied on the student to share some of his experience with coding, to help round out that context. Haerin: [24:07] Because he could bring in language ‑‑ the lingo ‑‑ other members of the classroom would find familiar and able to engage with and relate to and prove to be super effective. [24:22] He also felt that he was contributing. Other students felt like, “Oh, OK. It’s a member of our class. You can do it and if you’re helping us do it, it’s something we can master. It’s not something that’s rocket science.” Again, a collaborative process, student initiated and driven. Derek: [24:38] You do give your students a choice between a traditional research paper and these creative projects, and you’ve talked a little bit about the critical piece of the creative projects, but you could see this is asking your students to either be critics or be creators. [24:51] I’m wondering if there are tradeoffs there or decisions that are kind of challenging. How do you manage that? Haerin: [24:58] I can’t agree more. If you go either way, then you are definitely missing out on some parts the other track with benefit more from or enjoy. It’s true. I do still believe that there’s a way to salvage most of the gist of the experience each track provides. [25:16] The research paper track, it’s important. It’s an English literature class. It’s also very important to help students realize that writing a research paper isn’t something mechanical, isn’t just archiving, isn’t just collecting materials, isn’t just analyzing. It’s actually a really creative process. [25:36] Because they have to build their own arguments, they have to generate their own perspective and style matters. Not everybody writes in the same style. You can write beautifully written research papers. [25:49] Research papers could be fun depending on what topic you choose, how you organize them. Also the research process itself is really creative because these days students just don’t go into libraries and look through books, but they find sources all over the place, the net and social media. [26:09] Students are welcome to bring in things beyond traditional journal articles or books and going out there and locating them, that itself requires agency and creativity. We try to drill that into ourselves throughout the semester. [26:27] Either way, whatever you’re doing, critical insight is a creative process and something that you could really enjoy, because you’re making a change in the very site that you’re engaging with the ideas. Also the creative projects case, in addition to reflecting and analyzing their own work, they also have to bring in resources that they have referred to. [26:52] They have to provide the work cited page. It’s an abridged version. It wouldn’t be as extensive as a research paper. Still, for instance, if you’re creating a website or shooting a film or creating a digital animation ‑‑ one student created ‑‑ you’re learning all these new skills, self‑taught. [27:11] In that case, you have to go out there and find tutorials, you have to practice, find platforms. That itself is also really important research. They would elaborate on all the things that they found and did. To me, that qualifies as amazing research. [27:30] I think it’s important for them to realize that themselves. It’s a meta‑learning process. They have to realize that they’re teaching themselves and by sharing the process by which they achieved it with others, they’re also contributing to the collective pool of knowledge and contributing to that meta learning process the class as a whole engages with. [27:51] I guess that’s some of the aspects I try to reflect and help the students realize themselves they’re doing it, why not realize it and benefit from it. Derek: [28:02] I like the reflective statement too, because I think, as I’ve talked to faculty who’ve done similar types of projects, sometimes the decisions that students are making are not always explicit in the final product. There’s things that happen behind the scenes, things that get left in the cutting room floor, or things that you like in the final project but you’re not sure it was intentional or not. [28:22] But if you’re asking students to put themselves in conversations with texts that you’ve considered during the semester, whether it’s Patchwork Girl or a text about the singularity. [28:33] You want to know that they’re doing that intentionally and that reflective statement, I’m guessing, gives you a chance to see that and hear that and understand how the students were thinking about their own part in the conversation. Haerin: [28:44] Before and after I think is really important because they are asked to compare what came out in the end with what they initially planned, or it did in the mid‑term project proposal. Hopefully, it will provide them with more insight, more realization, more appreciation for what they have achieved. Derek: [29:06] Let’s step back just a little bit here. The name of our podcast is Leading Lines and we’re trying to use the podcast as a way to explore and shape the future of educational technology, the near future. I’m not worried about the singularity just yet. The next three years is sufficient for me. [29:24] As you think about educational technology in the university setting, where would you like to see it go? What would you like to see for technology and teaching in the next several years? Haerin: [29:34] That’s a big, big question. Derek: [29:37] It’s very open ended. Haerin: [29:38] I don’t know if I’d be able to say anything really new or cool, but as I see it, technology is already part of our lives. I don’t want to subscribe to those value-leading perspectives. For instance, technology, distraction, it’s messing up the classroom experience, or taking away from it. [30:03] Sometimes of course they do but I think it depends on the way in which we bring technology into the classroom and also deal with the technology that’s already existent in the classrooms. I don’t think technology is an adversary. I don’t think it’s a savior. I think it’s just a mechanism. [30:25] As I see it, technology is not about fancy gadgets or some amazing algorithms or new approaches. I think it’s just base mechanism by which we bring the unreal into the realm of the real. As a literature and media person, for me, the most amazing technology is language because language does precisely that. It shapes our thoughts. It brings what doesn’t exist in our cognized material reality into the realm of the real through imagination, through engagement. [31:00] Imagine people imagining stuff and sharing that with the entire world in forms that don’t necessarily exist in tangible form, but still become tangible form through that very process of interaction. Derek: [31:16] We always ask a closing question to our interviews here on the podcast. What’s your favorite analog educational technology, Helen? Haerin: [31:28] For me, it’s drawing. We do drawing all the time in class, in every single class regardless of topic, not only because we make sure to read graphic narratives, and we do in class. Haerin: [31:42] Yeah. Drawing is such a primal way of engaging — and also a technology, a primal technology. It’s so intuitive. It’s almost instinctive. The idea of drawing and representing, it packs in so many rich, amazing ideas that relate to how we communicate and how we process the world and how we reside in the world. [32:06] It’s about pictographs. It’s about ideographs. It could be about movement. It could be about different ways of being present. Drawing, it takes on all these different forms. [32:20] Students could produce short comics, short cartoons in class to visualize and try to parse out the ideas that they’re discussing that may seem so immaterial, esoteric at first. Once they start to give these ideas shape and form, it becomes a thing that they can grasp onto. [32:44] They also have to exert certain level of creativity to do that. They have to think critically because they have to make choices in representing and imagining. [32:53] We also produce short animations, use little books, and do the flip book thing. Derek: [32:58] Like a flip book thing. Haerin: [32:58] Yeah. By doing so, they can see how movement itself has so much to do with time and space. Drawing is plunging right into that amazing, amazing process and being part of it, realize it. Drawing could be a respite. Drawing could be a solace. Drawing could be an inspiration. [33:21] And, of course, it also tells us that text and reading literature has so many different dimensions because a text is a visual drawing to a certain sense, just works differently from, say, a smiley face, but also it has connections as well. We always do drawing. We just need a pen and paper. [33:40] Sometimes, we don’t even need that. Come into the classroom and use chalkboards, or draw in the air with your fingers. It’s a primal act, but it’s so rich and so amazing. Derek: [33:51] That’s great, Helen. Thank you so much for speaking with me today. Haerin: [33:54] It’s wonderful being here. Thank you. Derek: [33:56] It’s been a really fun interview. Haerin: [33:57] Thank you very much. Derek: [33:58] That was Helen Shin, Assistant Professor of English at Vanderbilt University. Helen’s non‑traditional assignments are an example of a theme that we’re exploring a little bit here in this season of Leading Lines. [34:23] It was a cross‑campus exhibition of original student work. We had students from all the undergraduate schools at our university share projects and products that they’d created in courses around campus. [34:35] That event was the final event in a theme year we had called “Students as Producers.” That’s the idea that we can engage our students not only as consumers of information but producers of knowledge. [34:48] We sometimes do that outside of courses through summer research and other types of extracurricular activities for students, but I’m really drawn to this idea of using courses as a place where we engage students in production activities, where we have them actually create something or produce something of value outside that course, asking students to tackle open‑ended problems to operate with a high degree of autonomy to share their work with wider audiences. [35:15] All of these things can create the kinds of deep learning experiences that many of us want from our students. And the “students as producers” idea is a really great way to think about how we build technology into our courses, either by having students use technology to create interesting digital multimedia products, or using technology to share those products with an authentic audience outside of the course through online interactions. [35:40] This “students as producers” idea really resonates with a lot of faculty. It’s one that I’ve been exploring a lot in my work at the Center for Teaching. I’d love to talk more about it. It’s something that’s been a theme, I think, of this whole podcast actually. [35:53] In the show notes for this episode, you’ll find links to more information on the “students as producers” idea as well as two examples of Helen’s students’ digital projects. You can see a couple of the ones that she was describing in the interview. [36:05] You can find those show notes on our website, leadinglinespod.com. We would welcome your comments and questions there, or over on Twitter where we are @leadinglinespod. I would really love to hear how you’ve used technology to support non‑traditional creative assignments like the ones Helen was talking about. [36:21] Leading Lines is produced by the Vanderbilt Center for Teaching, the Vanderbilt Institute for Digital Learning, the Office of Scholarly Communications at the Vanderbilt Library and Vanderbilt’s Associate Provost for Digital Learning. [36:31] This episode was edited by Rhett McDaniel, Educational Technologist at the Center for Teaching. Look for new episodes of Leading Lines the first and third Mondays of each month. [36:40] I’m your host, Derek Bruff. Thanks for listening.